The spring season is finally upon us and with it comes an annual tradition for many – spring cleaning. It’s the perfect time to open windows, let the warmer air in, and tidy up your home. Although we conduct a thorough cleaning of the objects in our home, how many of us actually make sure the air within it is clean and safe? Did you know that, according to the World Health Organization, 4.3 million people a year die from the exposure to household air pollution? Below are a few simple spring cleaning tips for healthier days ahead. Dust collects on everything and with our busy schedules, it can be challenging to remember to dust and wash all surfaces. It doesn’t take long for dust mites, dirt, debris, and pet hair and dander to build up and float around the air. Mix those ingredients with people who suffer from common ailments such as allergies, asthma, and sinus issues, and it’s a recipe for disaster. There is a simple remedy. A robust air purifier, such as HealthWay’s Air Purifier Deluxe, is an inexpensive solution to guarantee your home’s air quality is fresh and clean, year-round. With its state of the art Disinfecting Filtration System (DFS) Technology, HealthWay’s Air Purifier Deluxe captures 99.99% of ultrafine particles including harmful viruses, mold, and bacteria. It’s the best around – currently used in hospitals, military and government applications, as well as popular hotels (Hilton, Hyatt). We’re sure your home will approve. Dusting your bathroom fans and checking air filters are pretty easy to do and also help maintain a healthy living space. Remember to check bathroom fans for dampness or signs of water leaks. If you detect any traces of water, address the problem quickly to avoid harmful mold and mildew from growing. Dust and debris can build up on air filters over time, so changing them often is best. The last and most important tip is to make sure your family is safe from hazardous gases within your home. You have a carbon monoxide detector, right? 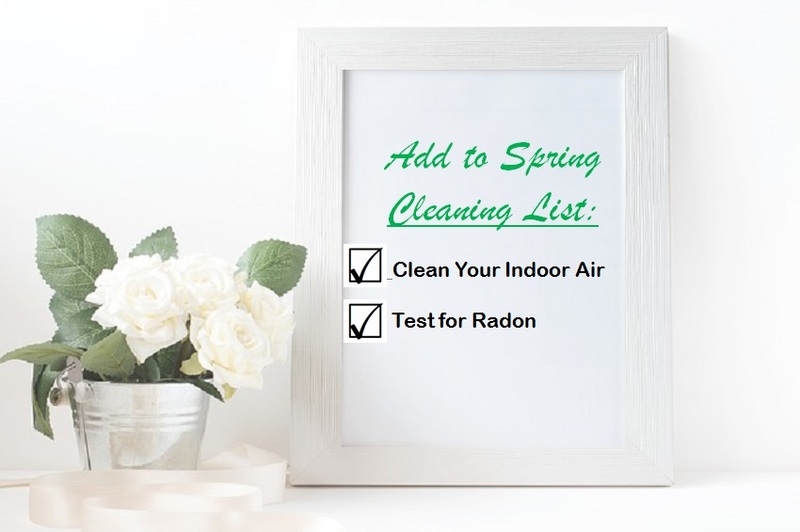 Well it’s equally important to test your home for radon gas. Radon is a colorless, odorless, lethal gas that causes lung cancer and kills 21,000 people in the United States alone each year. Protect your family by testing your home for radon. To find a Radon Professional in your area for radon testing or radon mitigation needs, please use our Find a Radon Professional Online Tool.